If you're in search of board insurance on a budget, then the Burton Board Sack is it. Stash your board plus an extra deck, and don't forget tools, hardware, and tuning supplies by throwing them in the zippered accessory pocket. Lightweight and simple, it's not only great for airline travel and day trips by car, bus, or train, but also for storing your gear through the summer. 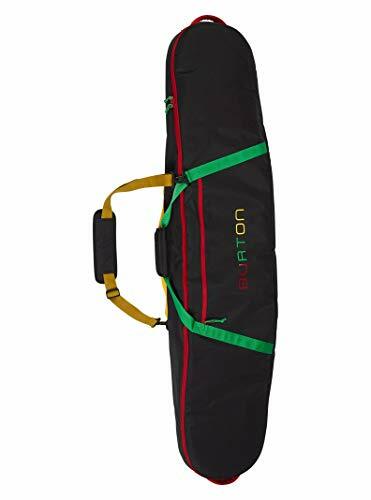 If you pack light or just want simple security, then the Burton Space Sack board bag will save your season. With just enough room for your board and an extra deck, it's guaranteed to please when doing day trips by car, bus, or train. With sizes to fit any board from a 129cm to a 181cm, the Space Sack defines rugged, no-nonsense snowboard protection and is also an ideal way to store your board in the off-season. With a bomber 600D polyester construction, super smooth IXION skate wheels, and fully padded space for multiple boards, it's no wonder the Burton Wheelie Gig Bag is Jake's favorite. With sizes to fit any board from a 146cm to a 181cm, this board bag offers rugged wheelie convenience without draining your wallet. Maximize your on-tour options with separate storage for multiple decks, removable boot and binding bag, and room for plenty more. Super lightweight and built with rugged materials, the Burton Wheelie Board Case is like fort Knox for your entire snowboarding arsenal. Get fully padded protection for multiple decks, super smooth IXION skate wheels, and removable boot and binding bag (the bag also work great for laundry, lunch, wet stuff, anything really) all at a weight that leaves breathing room on the baggage scale. As the stretch limo of board bags, the Burton Wheelie Locker seals the deal as the top choice for the entire Burton team. Its legendary roomy size hauls multiple boards, a hidden stash stores an extra deck or two, while removable bag fits your boots and bindings. 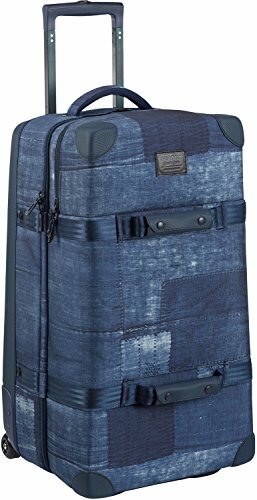 The compartmentalized upper deck fully separates for easy carrying and organization of clothes and everyday travel gear. No matter how much you stuff it, rolling is easy with IXION skate wheels and the comfort cush telescoping handle. Features lockable zipper pulls that fit TSA-approved locks. The team favorite for touring the world with everything in tow, the Burton Wheelie Double Deck roller bag is just the right size for those two-week safaris. The large capacity 50/50 opening with mesh dividers means you'll have room for all those souvenirs, plus extras, backups, and spare pairs. Breeze easily through the airport with the rugged IXION skate wheels, and pack like a tornado thanks to the volume-enhancing CRAM stretch zipper zones. A snowboard's sharp edges are your car interior's worst nightmare, which is why we suggest the simple Burton Cinch Sack as a good protective investment. Simply slide your ride into the burly 600-denier sack, cinch up the closure and throw it all in your back seat, hatchback or truck bed without stressing. 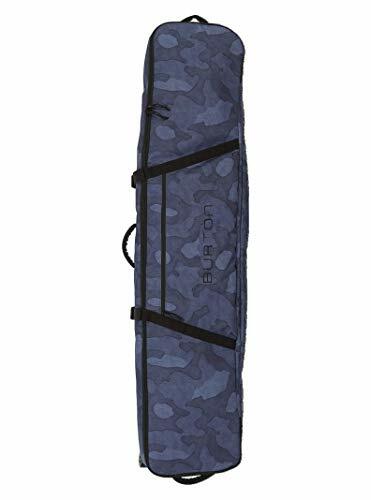 Want more Burton Board Sack Snowboard Bag similar ideas? Try to explore these searches: Plaster Tools, Stainless Steel Spinning Ring, and Silk Classic Window Panel.